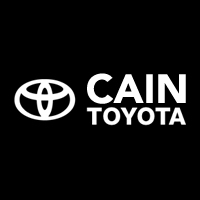 At Cain Toyota, we go above and beyond your expectations. With experienced Toyota Certified technicians and skilled, trustworthy Service Advisors, you can expect the best maintenance recommendations and service to your vehicle every time. While you wait for your vehicle, relax comfortably in our newly renovated waiting room while helping yourself to complimentary coffee, watching the TV, or reading up with our magazine collection. We also offer free Wi-Fi access! Don’t have time to wait? We’re happy to provide a service loaner or give you a lift back to work or home. Any tire, any size – we’ve got you covered. 2 Years Free Road Hazard Protection with purchase of any tire on the Toyota Tire Program. Everyone knows how important brakes are for safety; so why let just anyone replace them? Here at Cain Toyota we only use top shelf brake pads. The technicians working on your car are not only ASE certified, but also certified by the manufacturer. When we replace brakes we perform a thorough inspection of the brake system to make sure you won’t have any problems on the road. Why go anywhere else? Not all oil changes are created equal. To maintain the quality of your automobile, use motor oil formulated specifically for your vehicle. Here at Cain Toyota we only use oil that is uniquely formulated for your vehicle. Today’s sophisticated engine systems require a lubricant designed specifically for improved engine performance, increased fuel economy and reduced engine deposits. By increasing the efficiency of your engine’s oil flow and reducing friction, one can expect a surprising boost in fuel efficiency. If your vehicle is hard to start and/or has dim headlights when the engine is turned off, your battery is getting weak and should be replaced with a new Toyota TrueStart™ battery. Manufactured to Toyota’s exacting standards for quality and performance, these batteries offer the right combination of cold cranking amps (CCA) and reserve capacity (RC) for reliable performance regardless of climate. Toyota TrueStart™ batteries have been approved by Toyota engineers for years of trouble-free service–and no one knows your Toyota better than they do. Schedule your appointment at Cain Toyota to have your battery serviced or replaced. We will also properly dispose of your old battery to conserve our environment! Q: What does oil actually do? A: Put simply, oil plays three major roles within the engine block. First, it carries away excess heat generated by the constant explosions taking place within the cylinders. Second, it lubricates all the moving metal parts so they don’t damage one another. Third, oil helps prevent carbon deposits from building on the cooler parts of the engine. Q: Why do I need to rotate my tires and are there any benefits to doing so? A: Rotating your tires is a routine maintenance item that should be performed at every oil change. Since your vehicle’s weight isn’t perfectly balanced at a 50:50 ratio, the tires don’t wear evenly. The front tires, for example, carry the weight of the transmission and engine and lead the car around corners, causing them to wear faster. The rear tires, on the other hand, only follow the front tires and don’t bear as much weight. As a result, they wear much slower. There are a number of benefits to rotating your tires. One of the major benefits is buying a full set at once. Doing so ensures all of your tires use the latest tire technology in the industry. Since the tread wears evenly, the tires will provide a smoother ride as well. Q: When should I change my brakes? A: Knowing when to change your brakes is tricky, especially if you’re new to automotive maintenance. There’s no guaranteed mileage that notifies you that you’re in need of new brakes. How fast your brakes wear largely depends on how you drive and the streets you drive on. Those driving through cities, which requires more braking than on the highway, will need new brakes sooner. There are several warning signs to signal that you need new brakes. One of the most obvious signs is a high-pitched screech or squeal of metal hitting metal. In most brake pad manufacturers, this is a built-in signal that your brakes are worn and need replaced.